I loaded the blogger app on my phone in hopes that it will help me be a better and more regular blogger. I guess we'll see if it works. After recovering mentally and physically from back-to-back marathons and battling some hip joint issues the past month, I feel like I'm starting to find my running groove again. I'm focusing on letting my body dictate how hard and how far I run. I'm making cross training a solid part of my weekly workouts. 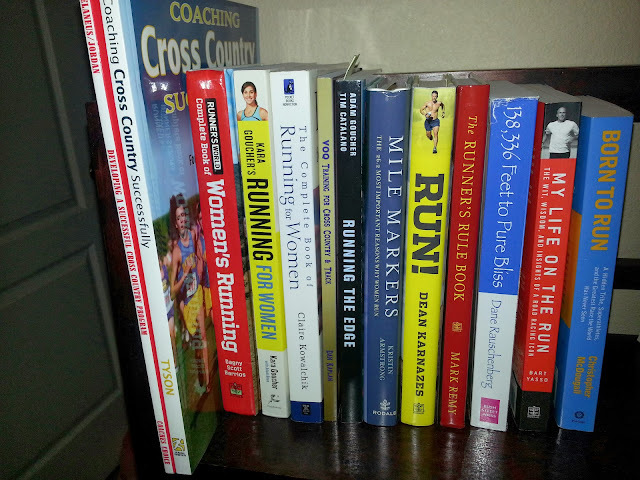 And I'm educating myself (with a bunch of books the hubs surprised me with) so next year can be even better than this year in my little running world. I'm also battling to post as often as before mainly due to work and also being sick and therefore running far less races than usual.